I can’t believe it’s that time of year when we need to ramp up the sparkle! 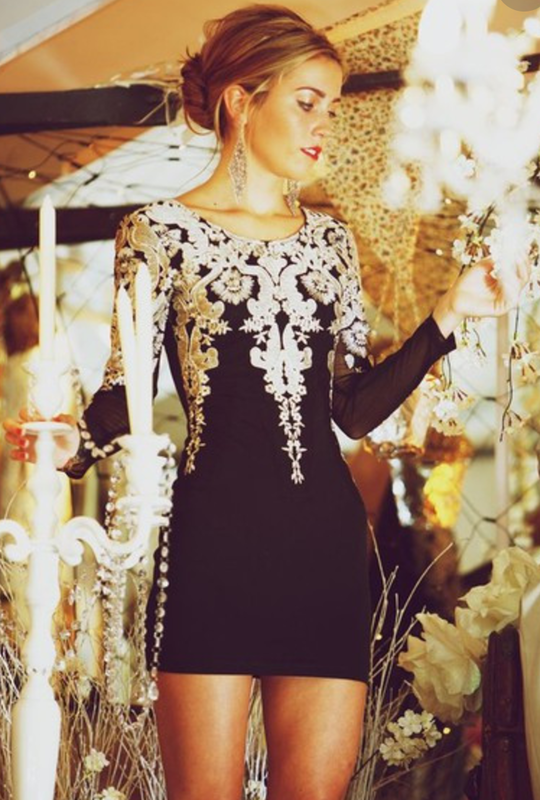 It’s amazing how just a few sequins or a bit of lace can really get you in the party mood. 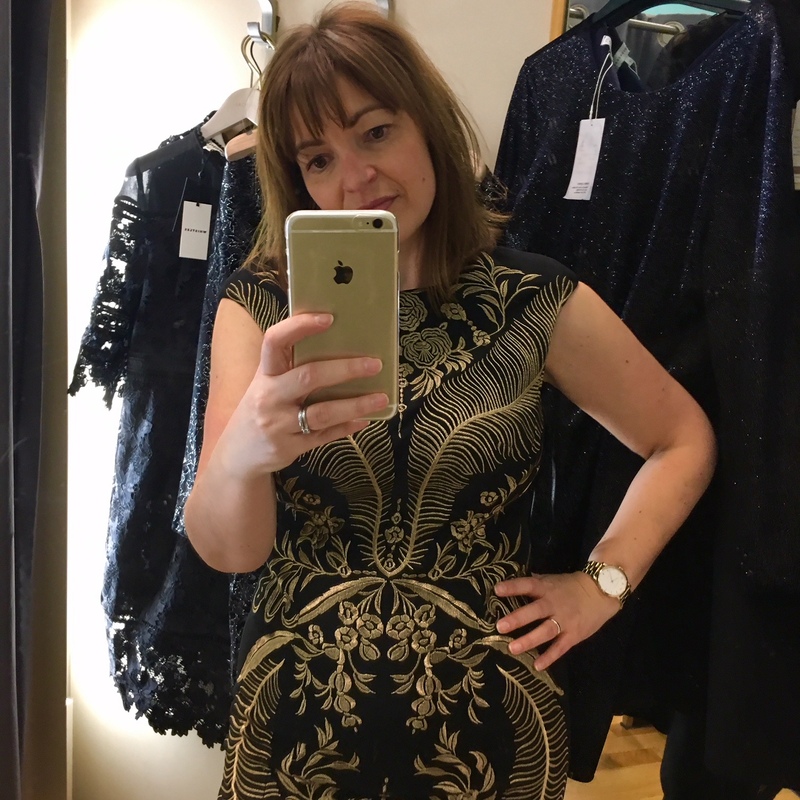 I’ve been out looking at party frocks because honestly I really wouldn’t leave this sort of thing to the last minute – or you may end up not really liking your outfit or paying over the top to get ‘something’ sorted. If you’re not into dresses, don’t panic, I plan to do party tops next – so there will be something for everyone. Believe me you are going to see more sparkle and lace on this blog over the next few posts that I will be in competition with your Christmas tree! Sparkle, lace, sequins – this is not your everyday wear. So you need to make more time to try on lots of dresses so that you can explore different styles to see what you like. For this type of shopping, take a friend. You don’t want to play safe and believe me a good friend will tell you the truth. 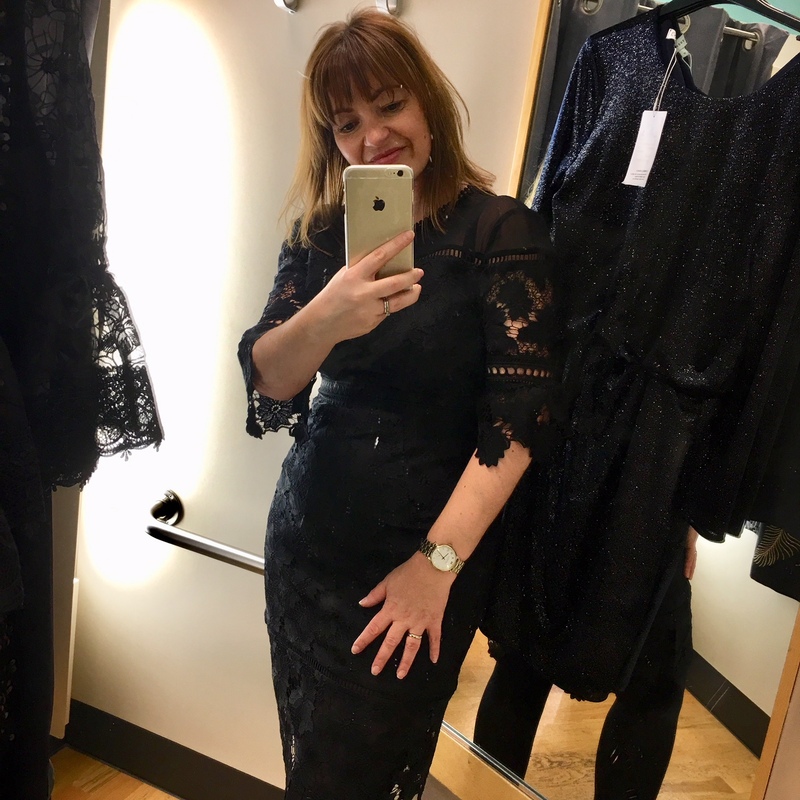 One of the dresses I tried on below I thought was perfect, but it turns out… it’s not! Good friends will give good advice. 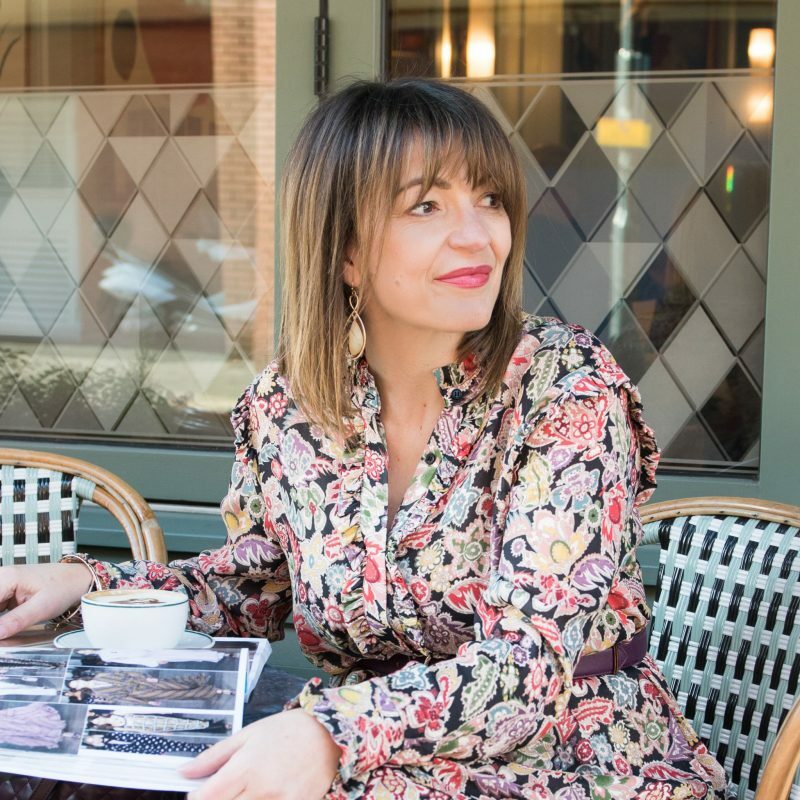 You need to decide on your budget BEFORE you go shopping – there is no midway point – these kind of dresses are either around the £60 price-point and then for the most part jump to £200+ – can you really afford to spend that? Before you head out shopping, dig through your wardrobe and find all your evening shoes, bags, jewellery, wraps, jackets etc – you don’t want to be buying more of the same old, if you are only going to use them a few times – it’s nice to have a little vintage thrown in with new. Interestingly this was not a mini dress on me or the model on the website. This is very much a pencil style skirt that finishes above the knee. The pattern is gorgeous and I would say that the fit is true to size. 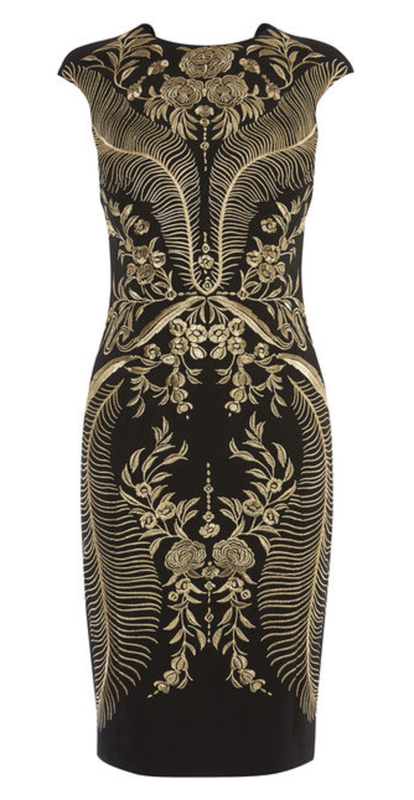 This dress is stunning and it would be your statement piece as you definitely do not want to over-acessorise this dress! The one negative, I found the pattern around my thigh area not that appealing, I think I would be too self-conscious throughout the night whilst wearing it – a shame that the designers didn’t think about this for pear or hour-glass for which this dress has been designed for. I loved this dress, the lace detailing was gorgeous and the fit it true to size. The skirt is a-line and it has pockets!! Love this feature. The fabric was fairly stiff and the dress sat well. 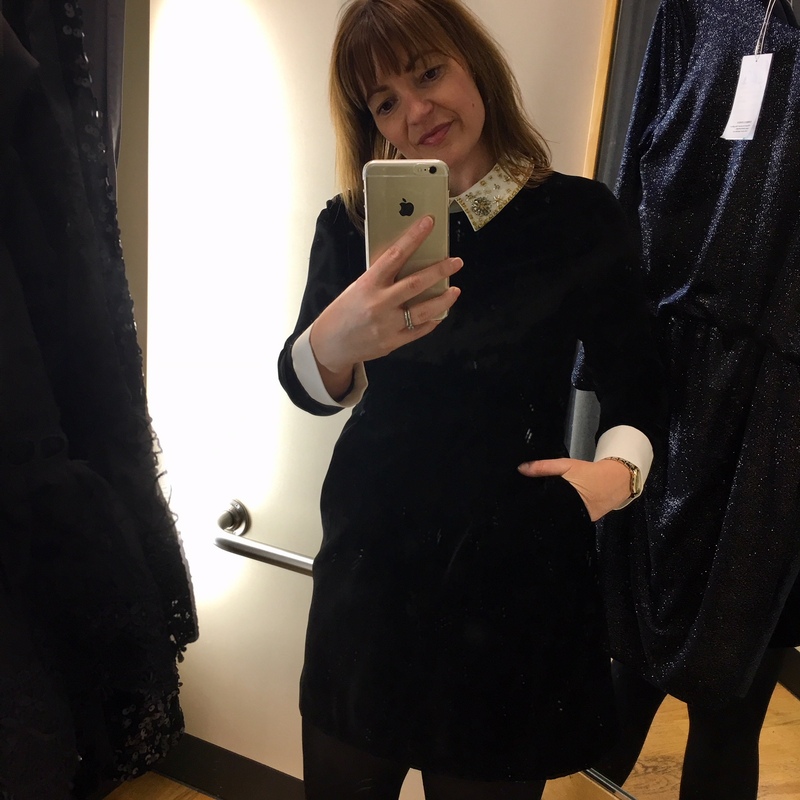 The price-point is a tad steep but it is Ted Baker and this is a dress you can wear throughout the year and not just for tinsel season! I highly recommend trying this one one if it suits your budget. Before I even tried this dress on I knew it was going to be stunning, the lace detailing is fabulous. 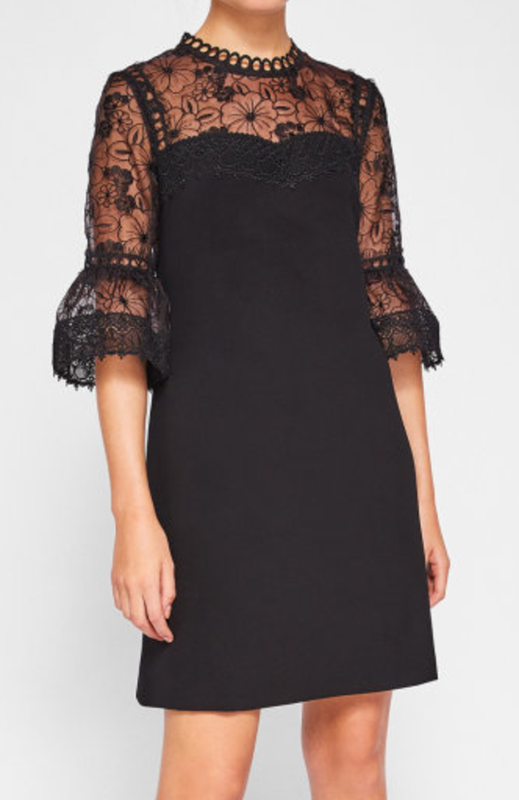 Again the price-point is a little steep but I already own a black lace dress from this brand and I wear it A LOT – so this would be a great investment piece. The dress below was a size smaller than my normal size, but based on that I would say it was true to fit. The fabric is not as soft as the Ted Baker above, and if I’m truly honest I would prefer that one to this. 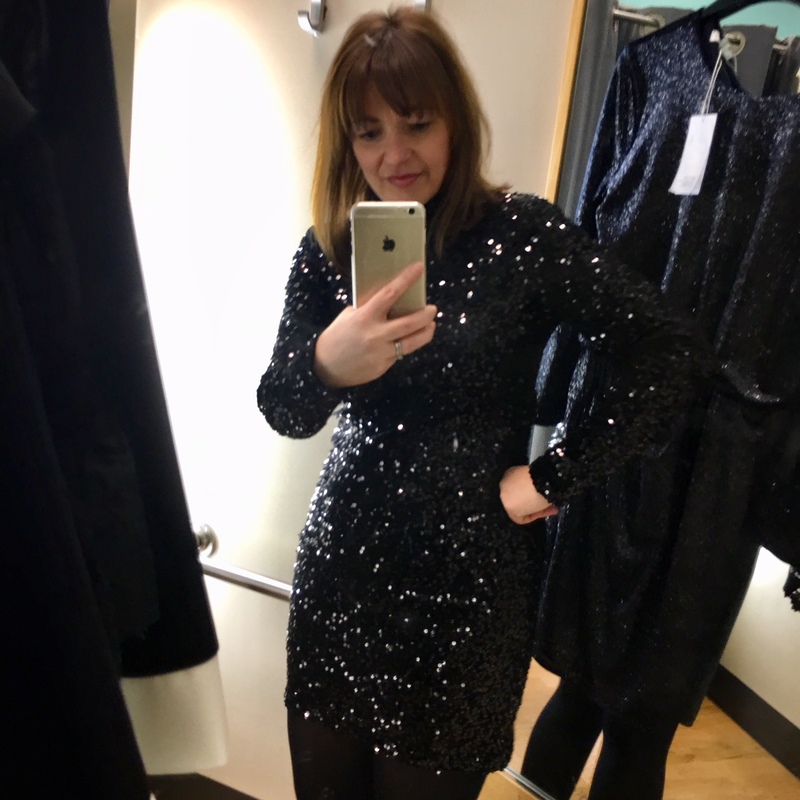 This is the one I wanted to buy… this is definitely a PARTY dress – loved the sparkle, loved the sequins, but sadly the really high neckline did not suit my bust line, you need to be more petite in that region for this dress to work. I’m not sure why they call this velvet, it may be that underneath but every minute part if this dress is covered in sequins. I only saw it in black in store, but online they have it in navy and gold, but it looks like the gold is selling fast. 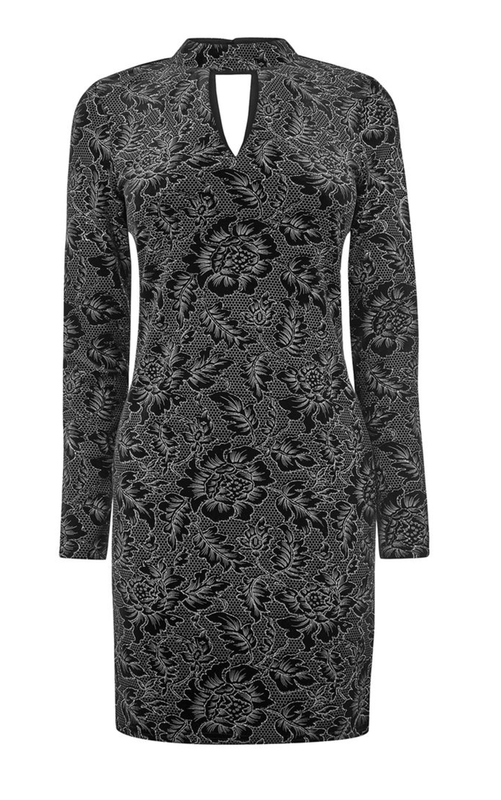 Fabulous party dress, great price-point and again sizing is true to fit. If you want to be more subtle with the bling, then this is the dress. I’ve never tried anything like this one before, as it’s typically not my style – I loved it. I think it’s a great look. For me personally the skirt didn’t work with my body shape – you need to be either straight or an inverted-triangle as there is minimal waistline to this design, and whilst I normally like pockets this just added bulk. I didn’t see one, but if this came in a top – I would be buying! I highly recommend trying this one on, I think you’ll be surprised just how much you’ll like it if the design of the dress works with your body shape. Now one of my forthcoming events is to an Art Deco restaurant and this place is all the glitz and glam! So I want to sparkle and I want the dress to look good from the waist up as I will be dining for the most part, so it’s important to me that it looks extra fabulous whilst I sit. 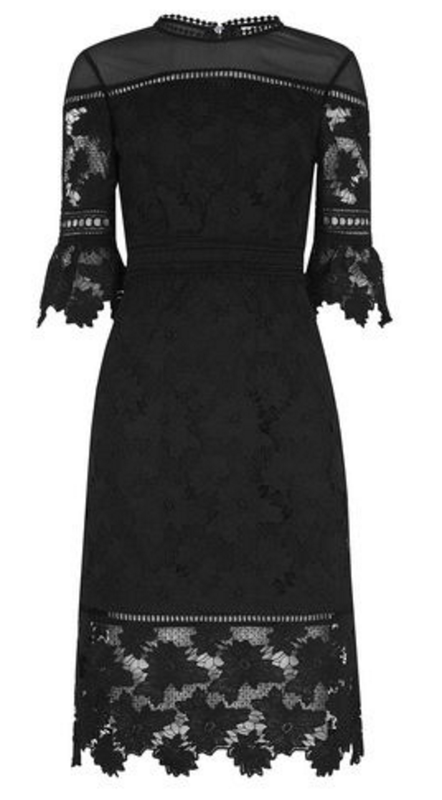 This dress comes in two lengths, and I have ordered both online (whilst I was shopping!!) the dress below is too small and whilst I waited to see if they had a bigger size (which they didn’t) I decided this is the one! 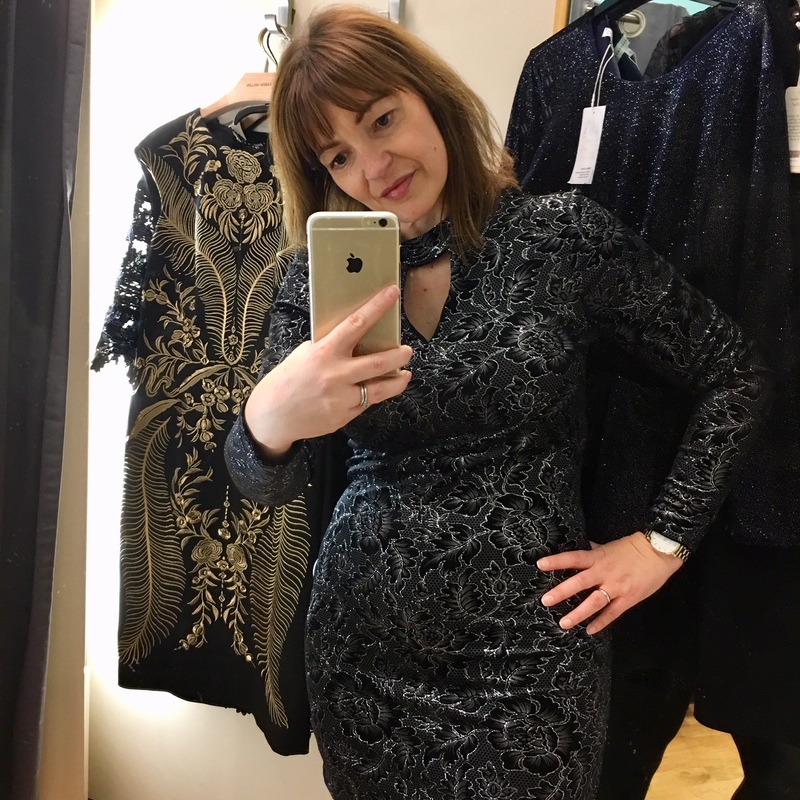 The glittery lace design and the velvet tube-like dress looks fabulous and thankfully the hour-glass fit works with my curves and not against it! Just waiting for them to arrive…. 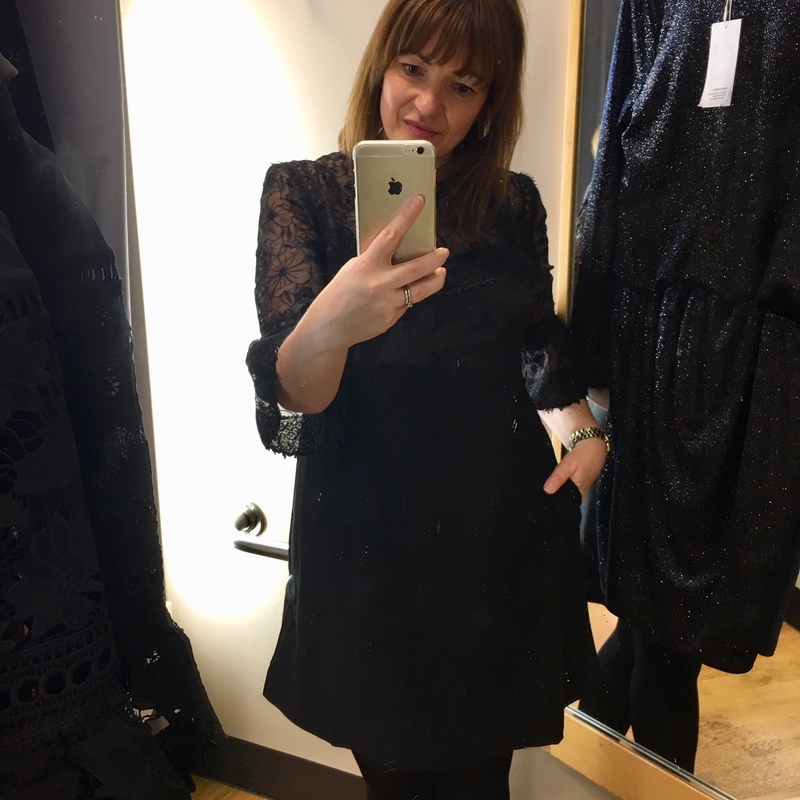 The post It’s party season – Dress to sparkle was on Loved by Lizzi first. 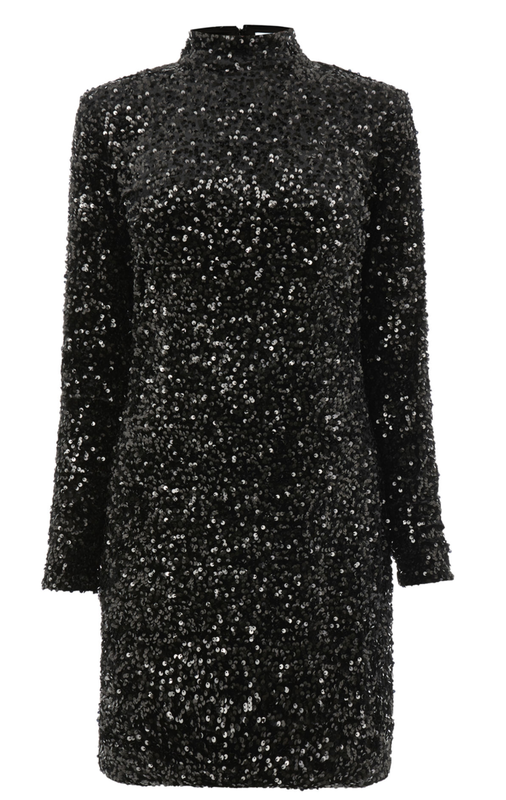 Next Post It’s party season – Sparkly tops for Out-Out!